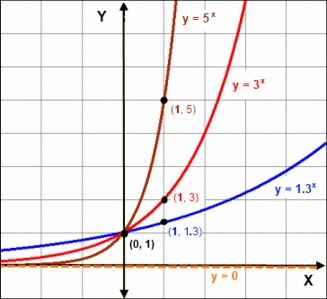 Exponential graphs are formed by graphing an exponential function. 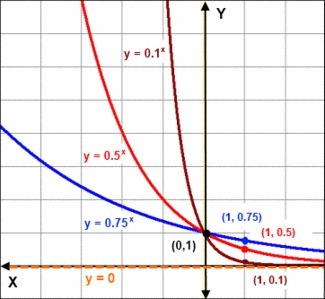 An exponential function has the variable in the exponent (or index or power). 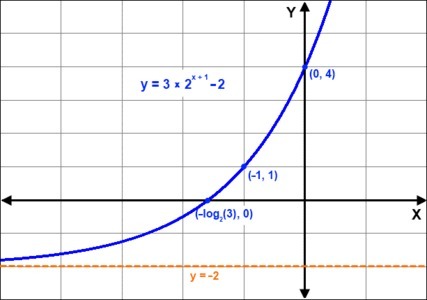 The graph of y = ax (where a is positive but excluding 1) is the basic exponential graph. 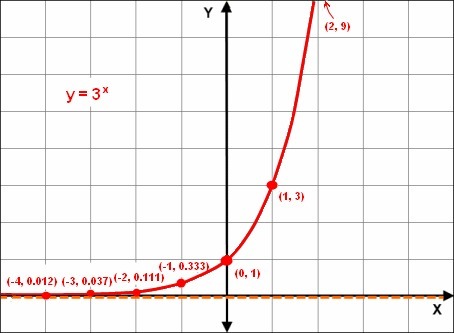 These are all strictly increasing graphs (gradient is always positive). 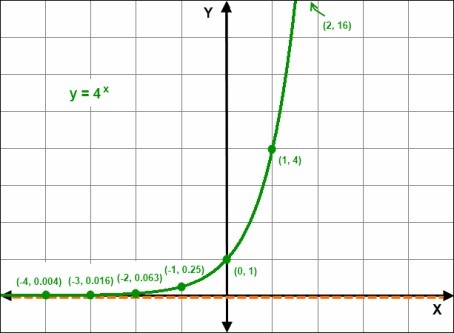 An exponential graph with fractional a (between 0 and 1) has the same shape but is reflected across the y-axis. 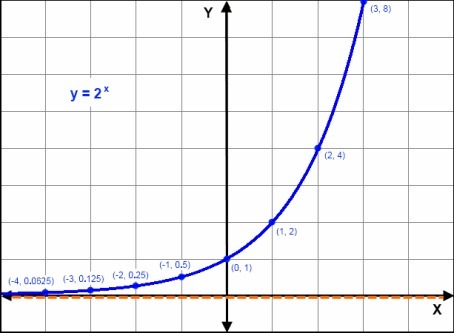 We can apply the standard transformations such as dilations, translations and reflections to any exponential graph, y = ax. Locate x-intercept as shown above.